It’s been brought to my attention that there’s a new wave of scams going on, with wild promises made, money gathered, and crap services provided, if any. I took a look at a couple web pages attached to the scam, feedback forms created through Weebly for giveaways, offering no descriptions of services. They want you to send money to a paypal link they provice. Shady, but whatever. I like to think that nobody is foolish enough to send money to somebody they don’t know for servies that aren’t offered. For giggles, I nosed around the source code for both of those pages. If you know what you’re doing, there’s a whole WORLD of information to be had in a page’s source code. Even if that page is a feedback form. You can find out the original site associated with the feedback form and who created it. You can find out where the money and information go when submitted via the form. That’s all there. That, and so much more. But the most interesting thing I found out was that the person that created those pages used my name in their source code. I know that the person who created those pages and the scams that go with them is reading this. Smile, Snookums. You’re under investigation for theft associated your most recent publishing (promotion, marketing, etc) scams. You’ve gotten away with it before, but it’s a whole new world, Princess. It’s not going to fly this time. And you’re being looked at for impersonation and fraud for using my name and information to perpetrate those crimes, and for using the internet to do it. That’s federal. I don’t know what you were trying to accomplish, but I guarantee that it’s not going to turn out the way your addled little brain thought it was going to. Buckle up, Buttercup. It’s gonna get bumpy. Amber Heard’s bid to Blackball Johnny Depp continues to fail. 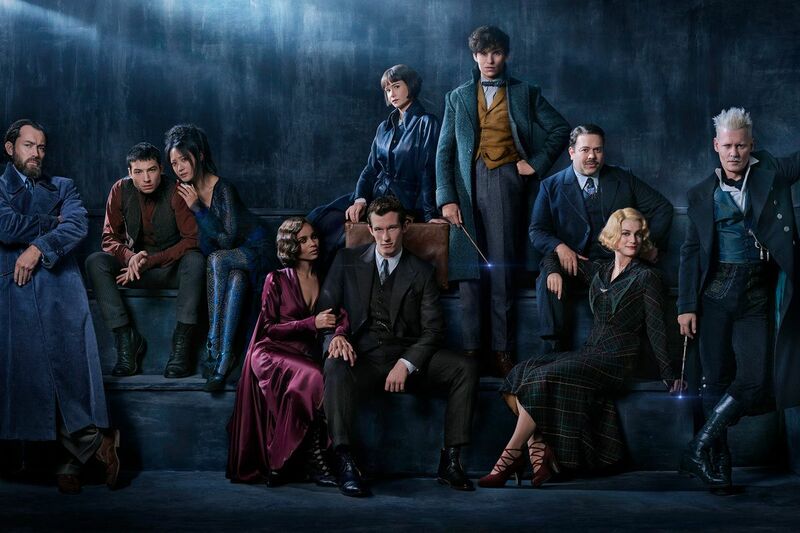 It has been confirmed that Johnny Depp will reprise his role as Gellert Grindelwald in the Harry Potter prequel franchise Fantastic Beasts, and where to find them. It was revealed at the end of the first movie that… is it still a spoiler after all this time? …Johnny Depp was wearing a Colin Farrel suit throughout the movie, and the he, Johnny, was actually Gellert Grindelwald. The bad guy. When the news broke for certain that Johnny will be in the upcoming sequel, fans were less than pleased. They railed against johnny Depp (far right) being cast because of accusations flung around by his ex Amber Heard that Johnny had abused her “physically, emotionally and verbally” throughout the entirety of their relationship. In May 2016, Heard showed off magical moving bruises that she alleged came from Johnny Depp smashing an iPhone into her face. Responding officers found that there was no physical evidence of any crime, and left without arresting him. If Amber had visions of Johnny being photographed in handcuffs to use as leverage in their divorce, those plans were foiled. 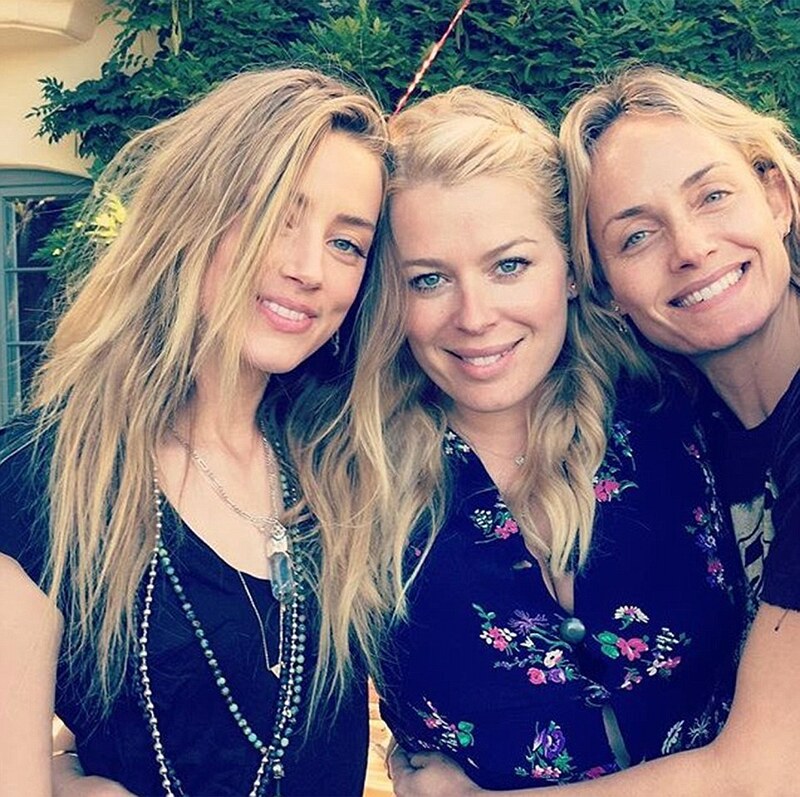 A picture taken of a smiling Amber Heard posted on a friend’s social media just hours after the alleged attack took place show not a mark on her. Multiple reports from people who live in the building say that they saw her after the alleged attack without a mark on her. Still, Amber Heard insisted that she’d been abused, which is ironic considering that she, herself, was arrested for violently assaulting her wife in 2009. Women from Johnny’s past, handed a perfect platform to take revenge on him if they wanted, all stepped forward to defend him. Wynona Ryder. Lori Anne Allison, Johnny’s first wife. Vanessa Paradis, the mother of Johnny’s two children. All of them said that he was a kind and gentle man. Kate Moss said she cried for years after their split because she missed him. Still, there are fans out there willing to believe Heard’s tales of woe and rail against Johnny Depp in her defense. Potter fans, particularly, want him removed from the movie. But David Yates defended the decision to keep Johnny in the role, calling Johnny a kind and decent man. “there was never any intent of physical or emotional harm” by either party. J.K. Rowling is not only comfortable with the decision to cast Johnny Depp, she’s delighted to have him on board. Amber Heard is not pleased. Amber wishes the best for Johnny in the future. From the look of it, she won’t be happy until nobody hires Johnny anymore. Sorry, kid. Johnny’s career continues to flourish. The future of her own illustrious film career, however, remains to be seen. She’ll forever get royalties from frolicking with Aquaman in the Justice League movies, but were those deals forged when she was still Mrs. Johnny Depp? Now that she’s not hitched to his bandwagon anymore, and considering her apparent continued crusade to ruin his carreer, what will Hollywood do with her? What masterpiece performances will she give in the future? Only time will tell. Her IMDB page doesn’t seem to be brimming with projects after the ones she’s already filmed. Johnny’s IMDB, on the other hand, lists at least half a dozen upcoming projects, including the aforementioned Fantastic Beasts. Me, I haven’t been impressed with a single thing Amber Heard’s done, from the Aqua-flicks to her single-episode stint on Criminal Minds back in 2006. She was in a few things before that, but CM was the first time I saw her. In my considered opinion, she is a pretty little girl with a spoiled, selfish attitude who can’t act her way out of a wet paper sack. She needs to improve her attutude, knock it off with the witch hunt, and work on her acting. You know, grow up. Otherwise, I don’t see much of a future for her in a career environment that loves the guy she’s trying to ruin.